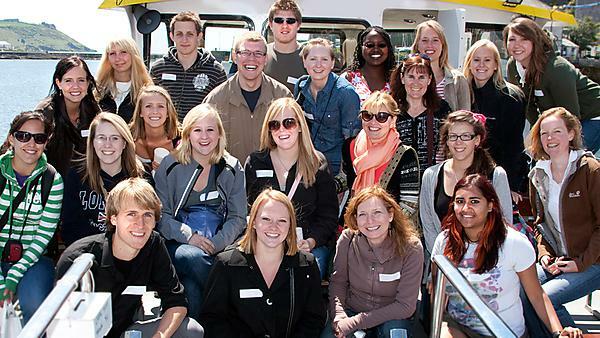 Want to know more about living in Plymouth and studying with us in the School of Psychology? You can find out from some of our students - they'd love to hear from you! Email them directly at psychologybuddies@plymouth.ac.uk, including the name of the student you want to email in the subject field. "I am in my second year studying BSc (Hons) Psychology. I chose Plymouth because the prospect of completing a placement year really appealed to me, and will add to my employability once I graduate. I find my course really supportive in terms of the resources available (such as the free e-books scheme), and the helpfulness of lecturers. I really enjoy psychology at Plymouth University and will be sad when it ends!" To contact Shannon, send an email with 'Shannon Jackson' in the subject line to psychologybuddies@plymouth.ac.uk. "I’m currently in second year at Plymouth planning for my placement year. Plymouth is an amazing place to study psychology as we are lucky enough to be taught by lecturers who are active in research and more than happy to allow students to get involved within that research. Everything we learn is so interesting and diverse and I cannot imagine a friendlier, more welcoming place to live than Plymouth!" To contact Catherine, send an email with 'Catherine' in the subject line to psychologybuddies@plymouth.ac.uk. "I'm from Cornwall, and am studying BSc (Hons) Psychology with Criminology and Criminal Justice Studies whilst being a PALS leader, mentoring Stage 2 students. I am carrying out Stage 4 after returning from a placement year doing forensic psychology at HMP Channings Wood. I love studying Psychology at Plymouth due to the range of areas covered and the amount of opportunities they give you to explore your area of interest and develop skills further." To contact Abi, send an email with 'Abi Cowls' in the subject line to psychologybuddies@plymouth.ac.uk. "I am in my second year, studying BSc (Hons) Psychology, at Plymouth University and couldn’t be happier of my decision to study here, even if it is four hours away from home. Moving so far away was made easier by all at Plymouth University, from the students, to the tutors and lecturers, always willing to help, which meant I could focus on my love for psychology." To contact Allora, send an email with 'Allora' in the subject line to psychologybuddies@plymouth.ac.uk.